Rising Son Outfitters was saddened recently to receive news of the passing of a long time client and friend, Dave Miller of Cedarburg, WI. There aren’t words to describe the kind of person Dave was. Our first meeting with Dave was in 1984, when he unexpectedly drove into our yard during elk season and immediately fell in love with our ranch. When he found out that I was considering going into the outfitting business, he helped spread the news and was responsible for sending numerous clients our way. 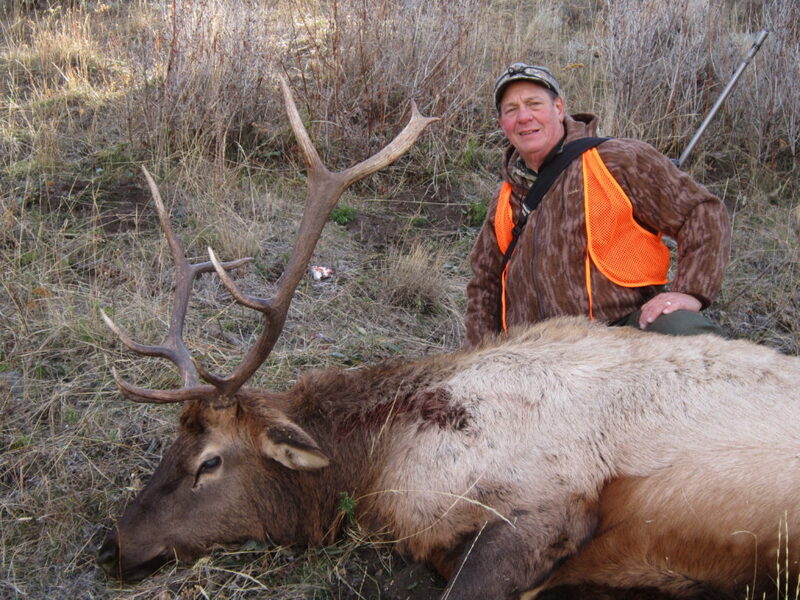 Over the course of the past thirty years, Dave also enjoyed many guided hunts; in fact had a hunt booked for this coming fall and was hoping to harvest his twelfth elk. Unfortunately, Dave didn’t make it that far and is instead residing with his Heavenly Father, with whom Dave had a personal relationship. I so appreciate Dave’s influence on so many, including my own family. He was always concerned more about others than himself. His love for God and his desire to live a life worthy of His grace was always evident. We won’t ever forget Dave Miller and the impact he had on so many. We will be forever grateful for all Dave has done to promote our outfitting business. May God bless his wife Kathy and the rest of his family.